BIRDscapes Gallery at Glandford near Holt in North Norfolk has an exhibition starting on Saturday 5th November. 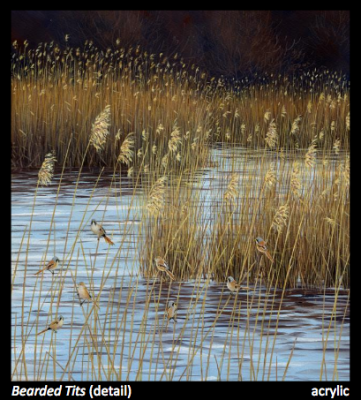 It features the work of the very skilled Stephen Message whose paintings feature small birds in landscape settings. Stephen is a keen birder and his illustrations have featured in several identification guides. His prints are very popular so this collection of original work is likely to sell out quickly. The gallery is open daily from 11am to 5pm. The exhibition will close on the 20th November. A pdf of work is available here.